Based on the series of novels by Richard Morgan, Altered Carbon follows protagonist Takeshi Kovacs into a future world where humanity has expanded to the stars, and learned to transfer their encoded personalities from body to body (referred to as “sleeving”). As such a new elite class has arisen on Earth, the Methuselah (or Meths), a group of immortal humans with all the power and riches that centuries can accumulate. The result is solid science fiction covering some hefty concepts on how technology can change what it means to be human. When tycoon Laurence Bancroft (James Purefoy) is murdered, Takeshi Kovacs (Joel Kinnman, Will Yun Lee, or Bryon Mann – depending on the “sleeve”), a centuries old member of a defeated terrorist cell, is freed from his hundreds of years of imprisonment, to solve the case. Hired by the very embodiment of the murdered Methuselah, Kovacs, seeks to find the reason for the dead “sleeve” and the missing 48 hours in the backup copies memory. This launches Kovacs into a violent world of power and advanced technology, but it’s also a world where the people and causes he bled for are the stuff of history. A world where he himself might meet with a more permanent death than the one he is investigating. 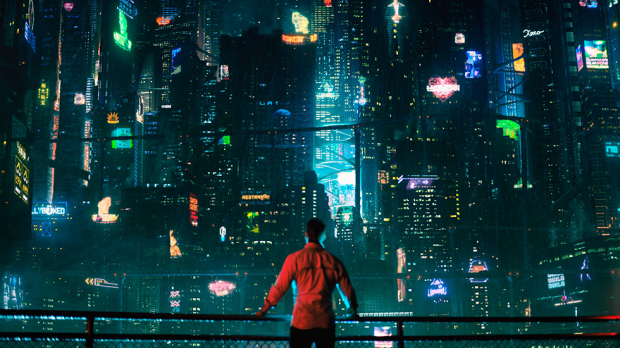 This latest Netflix series starts as competent, although standard cyberpunk fare, and in this regard it certainly hits both the feel and the look of the genre. That traditional grimy noir look established by the one of the founding giants of the genre, Blade Runner, is certainly on display here with more than a few visual nods to its inspiration (as well as numerous other sci-fi film and TV references, including the rather unexpected Mad Max Beyond Thunderdome). Yet Altered Carbon grows from this, going beyond, both in terms of look and themes. It might not reach the heights of Scott’s hallowed tome (or its sequel), but it does evolve to become its own thing. In terms of aesthetic it adds a bright neon glow to the world, letting it become awash in computer generated advertising, then it adds a city above the clouds – a blindingly white futurist dream of an exclusive future. It leans heavily into its pulp detective origins, but also threads the series with a plethora of religious and biblical imagery (from Kovacs’ serpent tattoo, to Goya’s Saturn Devouring His Son). All this is more than just window dressing, but plays into the themes of identity, immortality and power being explored. It’s in exploring these themes, that it does something interesting, letting those themes arise out of the changing technology almost organically. 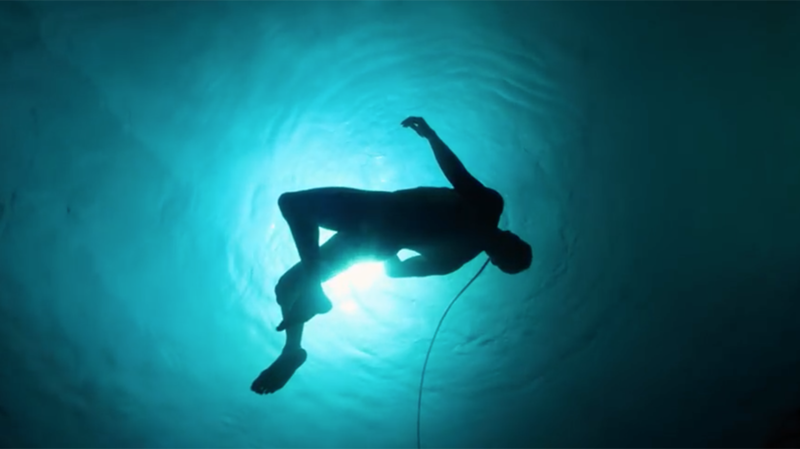 For Altered Carbon those issues blooming out of the “stack” technology (that digital imprint of personality) are paramount. How do you define yourself, when you are no longer defined merely by the body you inhabit? What happens when the death of your body (or “sleeve”) might merely be an inconvenience to your life, rather than an end point? Age, gender, body shape, race, even basic biology – all become fluid. These complex issues are touched upon in a myriad of innovative ways, and create a rich tapestry for the background world. In some ways that is also the issue with Altered Carbon. All that world-building comes at a price, and that’s pacing. Despite the fascinating world, there’s not quiet the same level of excitement generated throughout, as the first few episodes spend a lot of time on complex world building, rather than weaving a complicated plot (although in all fairness a lot of that feeds back into the plot in some unexpected ways). It doesn’t help that the ending doesn’t quiet live up to the dramatic expectations created, despite its overdrawn theatrics and heavy melodrama. Nor does Kinnaman’s rather wooden acting aid this, despite being entirely appropriate to the perfunctory, and somewhat emotionally dead Kovacs. Still the world is now set, and holds the promise of more interesting tales moving forward. 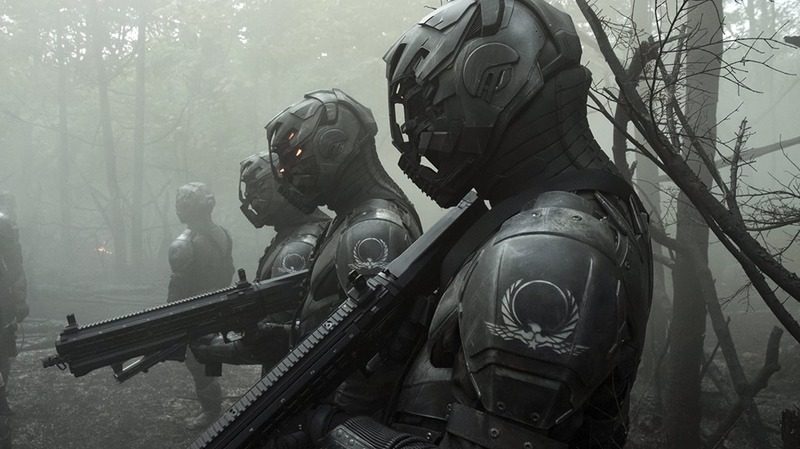 Altered Carbon may be in no danger in knocking Game of Thrones off it’s Iron Throne, but it is a solid piece of sci-fi. Season one has done a good job of setting the stage, and left the show with a promising future.